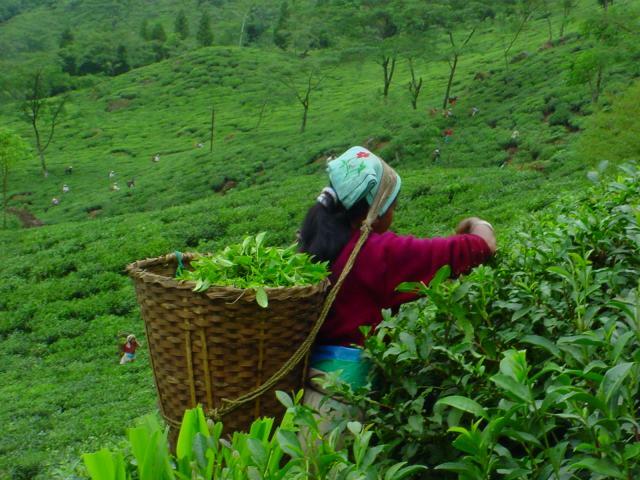 Darjeeling better known as â��The Queen Of Hillsâ�� is a perfect get away from the boisterous and chaotic city life. Here you can forget yourself and indulge with the salubrious weather and beauties of nature. With the glistening Mt. Kanchenjunga over the blue sky in the background, the century old world heritage Darjeeling Himalayan Railway chugging through the town releasing its regular puffs, exotic cuisines to pamper your taste buds offers you the picture perfect holiday destination. Moreover, it is all the more renowned for its Darjeeling tea which is venerated by all tea lovers across the globe. The town came into existence back in the mid-19th century when the colonial British administration set up a sanatorium and military depot and later on it went to be the summer capital of India when it was administered from Kolkata. The remnants of the Victorian existence and influence can be seen around the Chowrasta with many buildings characterized by colonial architecture and Gothic churches. One of the main attractions is the cultural diversity with people from varied ethno-linguistic origin living in harmony with each other enriching the cultural fraternity. The exquisite alpine slopes, the luxurious tea gardens and thriving meadows adorned with colorful flowers provide you with quite a respite. To add to it, the rhododendron trail flushes the air with a riot of colors against the snow-capped Himalayas. The droning of the monks in the peaceful monasteries is sure to soothe your sole. Weary souls looking to rejuvenate the mind and body can come to Darjeeling for a sojourn or an extended stay simply to absorb the peace of nature. Ava Art Gallery - Situated in Hill cart road, about 3kms from Darjeeling, Ava Art Gallery was established in 1965 by late Bhopal Rao Sett and his wife Ava Devi. It has a collection of 60 pieces of art work in water, oil and thread paintings displayed in the Gallery. There are also many other kinds of traditional paintings in the gallery including some delicate handmade embroidery and Silk appliquÃ© as well. The works on hand embroidery and thread painting are really superb. The silk work has been done by splitting the silk thread some 20 times. It is the only Art Gallery of its kind in the Hills. 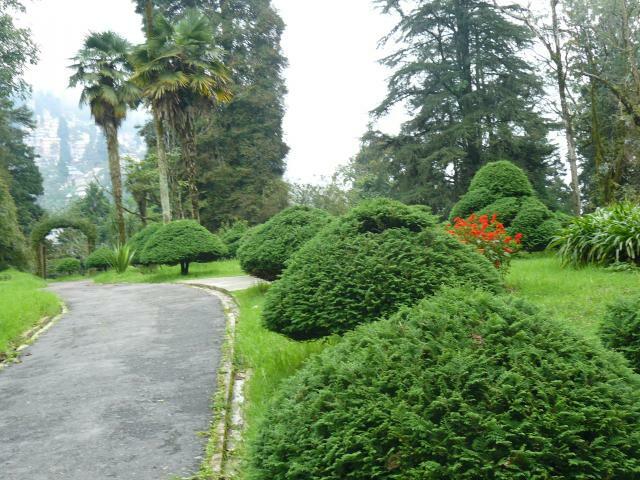 Lloyd's Botanical Garden was established in 1878 and is located just below the Eden Sanatorium on an open slope covering an area of about 40 acres, at an altitude of 1800 meters. It is a walking distance from the taxi stand of Chowk Bazaar which is the main market center of Darjeeling at the lower level. You can approach it through the Victoria Road as well. The garden represents the characteristic flora of the Eastern Himalayas. More than 60 orchids representing various terrestrial and epiphytic species are found in the Orchid House, a spacious glass house. A herbarium, which is a stone building built in Elizabethan style, is also present here. Living fossil plants are another attraction. 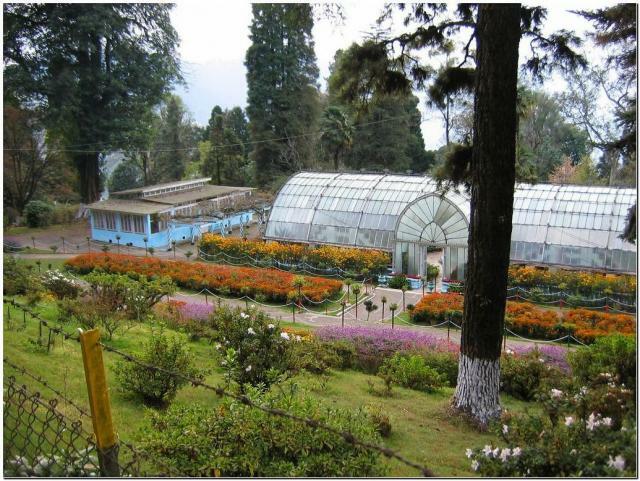 This Botanical Garden preserves several species of bamboo, oak, magnolia, arisaema, cotoneaster, wild geranium, and rhododendron forest native plants of the Darjeeling Himalayan hill region, Sikkim region, and other neighboring regions. Also, several exotic plants like hawthorn, blackberry, birch, chestnut Plums, cherries, weeping willows, grandiflora, wattle and silver oak are also preserved. The Cacti and Succulent collection of 150 species is also displayed in the Conservatory. Padmaja Naidu Himalayan Zoological Park is a 67.56-acre zoo in the town ofÂ Darjeeling opened in 1958, and at an average elevation of 7,000 feet (2,134Â m), and is also the largest high altitude zoo in India. India's former Prime Minister late Indira Gandhi dedicated this zoo in memory of Padmaja Naidu. She was an ex Governor of West Bengal and the daughter of Sarojini Naidu, a national leader and a poet. This is where you can actually see some of the high altitude animals and conservation programs of some endangered species that are rarely seen anywhere else in the world.Â Some of the highlights of the zoo include the conservation programs where you can see vulnerable and endangered animals like the Tibetan Wolf, Salamander, Red Panda, Snow Leopard etc. all in their natural habitats. It specializes in breeding these endangered animals adapted to alpine conditions, and has successfulÂ captive breeding programs. In addition to these species, the zoo is breeding the Himalayan Tahr, Blue Sheep, Himalayan Monal, Grey Peacock Pheasant, Himalayan Salamander, Blood Pheasant and Satyr Tragopan. The zoo attracts about 300,000 visitors every year. 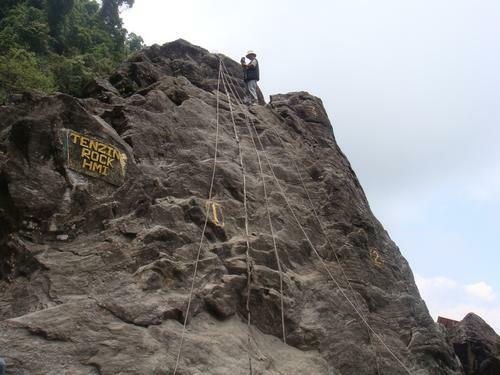 Tenzing & Gombu Rocks are located on Lebong Cart Road of Darjeeling, and faces opposite to each other. If you are coming from Darjeeling town, then it should take about 20 minutes by taxi. Both these rocks are used for rock climbing training by HMI.Â The students from HMI often come to this place for rock climbing training. Tourists visiting this place get thrilled watching the rock climbing of the students of HMI. 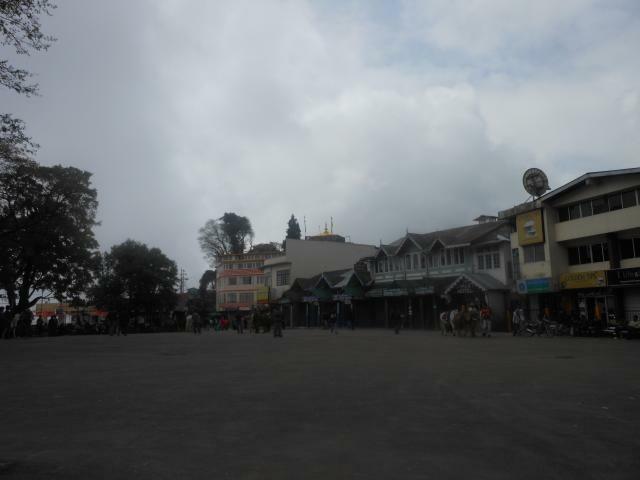 Chowrasta or the Mall is the heart of Darjeeling town. Located on the top of Nehru Road, this is a nice flat land where tourists and locals come to lounge in the sun, take a seat on one of the many benches along the periphery, and watch the wonderful breathe taking views that it offers of the entire Eastern Himalayan range and valleys all around.Â One will invariably find locals relaxing on the benches, gossiping and lazing around the square. A walk around the Mall road also provides you a panoramic view of entire Himalayan Range with the majestic Kanchenjunga on one side. The roads leading to Chowrasta are filled with shops of garments, curious & local handicrafts, information centre, studios, cafes and restaurants and an arena for pony rides. People can take leisurely horse rides here and take a few rounds of the Darjeeling Chowrasta. 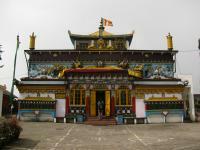 Druk Thupen Sangay Choeling Buddhist Monastery is located at Dali, about 4kms away from Darjeeling. It is one of the most famous monasteries belonging to the Kargyupa sect and is one of the largest monasteries with white buildings built in typical Tibetan style and perched on a steep hill. 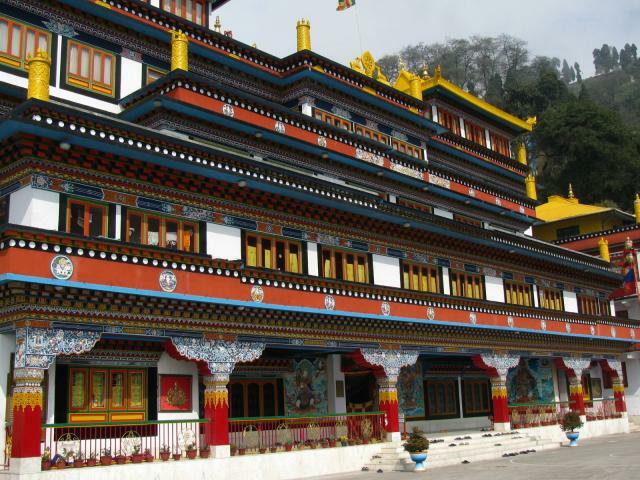 The monastery was originally built at the time of Kyabje Thuksey Rinpoche in 1971. Thuksay Rimpoche died in 1983 and his incarnate is reported to have been born in 1986 at Ladakh. Today it is the head quarters and residence of Drukchen Rimpoche the XII, who is the supreme head of the Kargyupa sect of Buddhists. Happy Valley Tea Estate is a tea garden, spread over 437-acre situated below Hill Cart Road at a height of 6,800 feet above sea level, 3 km north of Darjeeling, and employs more than 1500 people. Established in 1854, it is Darjeeling's oldest tea estate and is also one of the highest tea factories in the world. Walking through a tea garden on the gentle hill slopes of Darjeeling and seeing the tea processing is always a special experience. There are guides who offer to take you inside the tea production factory and show you the entire tea production process. They are usually employees of the factory acting as guides during their off time and charge small fees. National History Museum is located behind the Gorkha Ranga Manch Bhawan at about 10 minutes walk from the Chowrasta Mall. The museum was established in 1903 to provide the visitors an opportunity to obtain information about the birds and butterflies of the hill area. 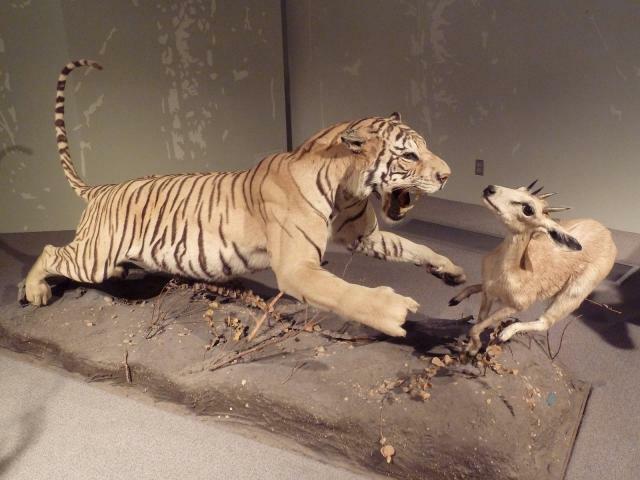 The museum contains a representative and comprehensive, but dusty, collection of Himalayan and Bengali fauna. The museum houses more than 4300 specimens. Bird species, reptiles, and other animals of the Eastern Himalayas are displayed at true to life altitudes.Â You will see specimens like Himalayan brown wood owl, northern spotted owlet, Northern Brown Fish Owl, pheasants, fly catchers, woodpeckers and lot more. Some of the birds displayed are really huge in size and it's unlikely that you would have seen such sizes before. There are over 820 specimens of birds belonging to more than 400 species of the area. 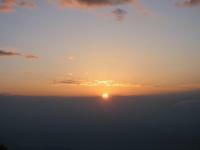 Darjeeling Ropeway is one of the best ways to experience the panoramic views offered by Darjeeling. It was started way back in 1968 and is the first cable car system in India. This ropeway starts at North Point, about 3 km from town. It is also called the Rangeet Valley Cable Car because of the spectacular view of the valley it offers around the river Little Rangeet. 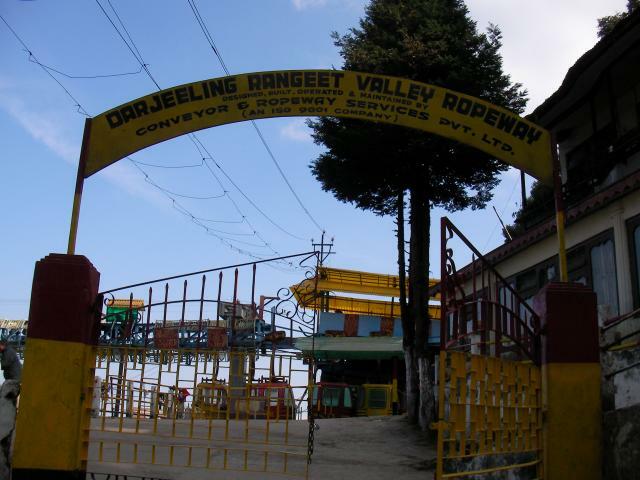 This ropeway, which is 5 kilometers long, connects Darjeeling with Singla Bazaar on the Rangeet River at the bottom of the valley. As you ride the cable car, in about 45 minutes you will travel from an altitude of about 7,000 ft. (or 2134m) down to 800 ft. (or 244m) where the last station Singla Bazar is located. This ropeway cable car can take six passengers at a time and you will be able to get breathtaking view of the valley below, see the spread of lush green tea gardens on the hill slopes, flowing rivers, forests, waterfalls and to top it all the magnificent view of the Eastern Himalayan range including the snow capped peaks of the Kanchenjunga. 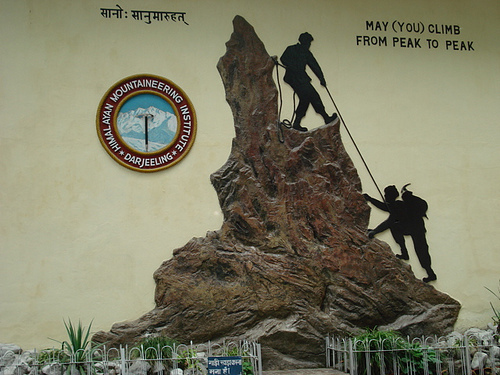 Himalayan Mountaineering Institute (HMI) With the impetus provided by the first prime minister of India, Jawaharlal Nehru, Himalayan Mountaineering Institute was established in Darjeeling on November 4, 1954 to encourage mountaineering as an organized sport in India. The first ascent of Mount Everest in 1953 by Tenzing Norgay and Edmund Hillary sparked a keen interest in establishing mountaineering as a well-respected Endeavour for people in the region. Tenzing Norgay was the first director of field training for HMI. The objective of the Institute is to encourage and promote the science and art of Mountaineering amongst its members and others enrolled as student. It aims to train the enterprising members of the community, who in turn develop mountaineering activities in the Himalayas as a sport or as a scientific pursuit. Mag-Dhog Yolmowa Buddhist Monastery is situated on the Old Military Road commonly known as the Aloobari road; the Mag-Dhog Yolmowa Buddhist Monastery was founded by its, Ven. Sangay Lama, the head priest who originally hailed from Nepal. The construction of this monastery coincided with the beginning of the First World War in 1914. The monastery was therefore named Mag-Dhog or warding off the war and is dedicated to the cause of world peace. The statues of Lord Buddha depicting different forms and the statue of Padmasambhava at this religious place are stunning. The painting on the wall are said to be done with the help of herbs and are an amazing work of art. Other interesting features of the monastery are the valuable ancient scriptures lying inside the monastery. Rock garden as the name suggests, is a garden fully made out of rock. It is a marvel of present day architecture. 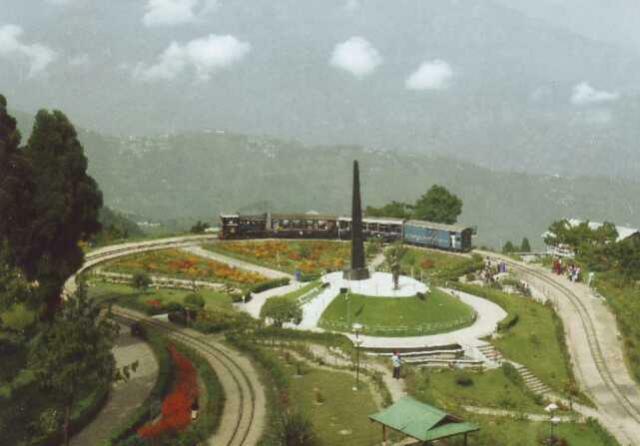 It is situated at about 12 kilometers from Darjeeling. While proceeding from the town along Hill Cart Road, one has to turn right, well before reaching Ghoom. The road descends rapidly into the valley. With sharp bends all the way, there are breathtaking views at many points. Tea gardens dot the hill slopes. The garden has a small but beautiful waterfall known as the Chunnu summer fall and the sound of the flowing water makes the atmosphere very soothing. The garden offers a beautiful view of a hill stream cascading over rocks along the slope, done up with flower gardens and sitting spaces at different levels. Ganga Maya Park is further down the road, about 3 kilometers from the Rock Garden and has a small lake at its helm, with boating facilities where one can enjoy the serene cool atmosphere of the place. The road to the garden is a steep and winding one almost touching the plain. But the sight of the natural waterfall makes you forget all the pain and weariness. The garden offers a beautiful view of a hill stream cascading over rocks along the slope, done up with flower gardens and sitting spaces at different levels. Gorkha folk dances are performed to entertain the tourists. Also there are various restaurants, tea shops and kiosks providing snacks and you can have food amidst the natural beauty. Shrubbery Nightingale Park is located at about 10 minutes walk from the Mall. It is a beautiful public park area situated just behind the Raj Bhawan and on the top hill on the way to Padmaja Naidu Himalayan Zoological Park with the view of Singalila Range and the awesome presence of mighty Kanchenjunga. During the British days in early 1900s, this place was known as The Shrubbery. It used to be the private courtyard of Sir Thomas Tartan's Bungalow. In 1934 it was completely destroyed by an earthquake. Later, in 1950s and 60s, the park became a hot place for Bollywood films because of its scenic beauty. In 1976 the then Governor of West Bengal Mr. A.L Dias created a grand plan to redesign the park to its present form. It's ideal for relaxing and enjoying the superb panoramic views of the Kanchenjunga and the other snow peaks of Eastern Himalayas. During the tourist season, Nepali cultural programs like local dances are held here every day in the evening. These rocks are named after Tenzing Sherpa,Â the man who created history by climbing the Everest first time along with Edmund Hillary in 1953 and Nawang Gombu, nephew of Tenzing who was the first person to climb the Everest twice, once in 1963 and then in 65. 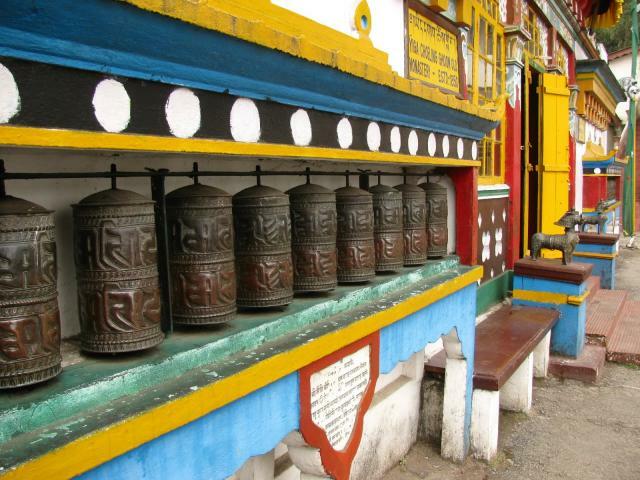 Tibetan Refugee Self Help Centre is a rehabilitation Centre for the Tibetan refugees in the Darjeeling Himalayan hill region. Situated at Lebong, at an altitude of approximately 2,143 m (7,031 ft) above sea level and locally known as Hermitage, the Tibetan Refugee Self Help Centre (TRSHC) came into existence on October 2, 1959 after they followed Dalai Lama and escaped from Tibet. The center has been a part of multifarious activities which ranges from handicrafts, training of artisans, and craftsmen. 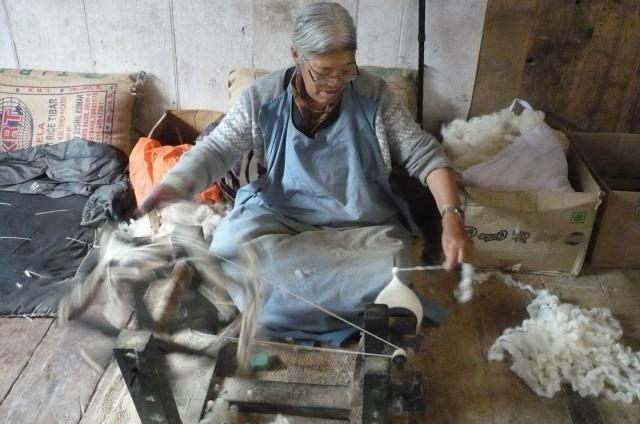 The Tibetan Refugee Self-Help Centre comprises a home for the aged, school, orphanage, clinic, gompa and craft workshops that produce carpets, woodcarvings, and leatherwork and woolen items. There's also an interesting photographic exhibition portraying the establishment and workings of the centre. Tiger Hill is located about 11 km from Darjeeling, at an altitude of 8500 feet. It is famous for the sunrise view it offers with an exquisite display of colour change upon the White washed Himalayas to red, pink, orange, gold and back to white. Itâ��s a play of about 15-20 minutes displayed on the panoramic view of the entire range of the eastern Himalayas with the majestic Kanchenjunga on one side, the feeling of which canâ��t be expressed in words. Yiga Choeling Buddhist Monastery also popularly known as Ghoom Monastery is located at an elevation of 8000 feet, 8 Km from Darjeeling. The external structure of the building was established in 1850 by the famous Mongolian astrologer and monk Sokpo Sherab Gyatsho. Amongst the Buddhist texts available are the Kangyur, the Tibetan Buddhist canon, running into 108 volumes. The monastery belongs to the Gelukpa or the yellow Hat Sect and is famous for its 15 feet high special statue of the Maitreya Buddha.